Ask any human resources department about how much overall productivity is lost by employee turnover and you’ll likely get the same answer – a lot. The hiring and firing of employees creates a ripple effect that is felt throughout an organization and impedes workflow due to confusion and lack of communication. 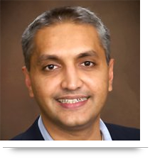 However, an effective automated turnover process with SharePoint can mitigate this loss in production. Automation ultimately facilitates a work process and also helps in decision making. SharePoint offers a complete set of tools to automate and streamline business processes, allowing communication among different apartments to flow swifter and smoother. 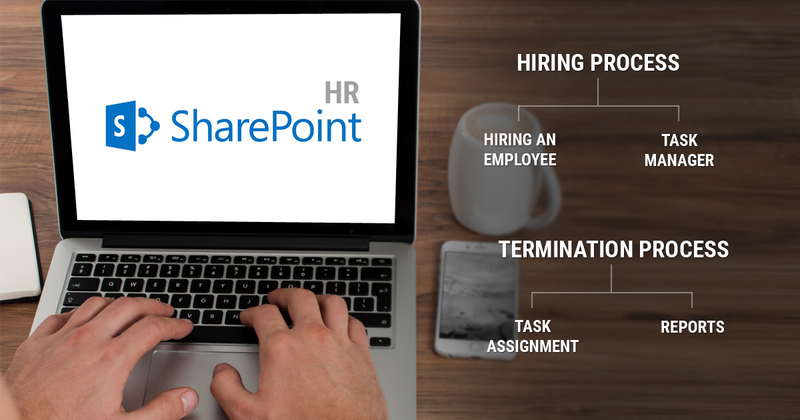 Here is how managing the hiring and termination process through SharePoint can be easier and more manageable. SharePoint facilitates in providing users with various levels of access. Users can login and access information based on their profile. For example, while a senior HR manager has access to all information related to employees, a hiring manager may only access information related to hiring. Any crucial information and tasks can be made available on SharePoint’s dashboard and accessible to user profiles with certain levels of access. This helps in making quick decisions and actions. For example, when an HR manager logs into the system, they can view current information, such as employs joining and leaving the organization during that week. Then, they know who and when to inform, which tasks to reassign, and what other steps need to be taken to ensure a smooth transition. SharePoint simplifies the process of hiring new employees by reducing the process to just a few steps. An HR manager can add new employees by simply filling out a form and adding the details of an employee. Once added, the employee’s information is automatically emailed to the hiring manager. The hiring manager can view the current tasks of employees through the SharePoint dashboard. Here, they can further edit the details of the employees, add designations, notes, and the date of joining. Upon saving the information, an email is sent to concerned departments for further action. For instance, the Network Manager can receive task information about setting up the user accounts, permissions, and passwords of the new employee, as well as allocating gadgets as per instructions. The Marketing Manager can be sent task information about issuing marketing collaterals as required. The Telecommunications manager can also be sent information about configuring the desktop system, VOIP, or performing technical training as required. Finally, a welcome email can also be generated introducing the employee to the company and its system along with required access information into the system. The termination process can be equally streamlined. An HR manager may begin the termination process by filling out a termination form. Upon confirming the details, an email is sent to different departments for further actions. In the termination process, task assignment can be automatically managed. The hiring manager can receive a notice about the employee termination so they can create a new job opening in the organization. The Network Manager can proceed by withdrawing the former employee’s user access and permissions and by canceling passwords. The Marketing Manager can destroy marketing collaterals pertaining to the terminated employee. The Telecommunications Manager can withdraw desktop systems or VOIP that was given to the former employee. Reports offer a bird’s eye view of the system. An HR manager can scan through various information related to hiring, termination, and tasks assignments etc. The HR can even choose to dig deeper into the reports using various criteria like, Department, Status and Date to accumulate desired information. Digital assistance greatly reduces paper clutter and storage space. Better communication can be established among different departments of the organization. Vacancy management tools facilitate managing resumes, interviews, interview schedules and current job openings. Simplification of the documentation process via Document Library. All agreements, contracts, policies, and common templates can be managed. Daily HR activities like, performance reviews, reporting, leave approvals, and daily attendance spread among different branches can be managed seamlessly irrespective of different locations. SharePoint facilitates development of Company intranet for better management among different locations. Employee information management enables maintenance of employee details at the time of hiring, such as daily attendance, skillset, and employee tasks. The exit process and exit interviews can be managed too when an employee terminates service. Reports allow an HR manager to access various information related to hiring, termination, tasks assigned, etc. These reports give a quick view of a task status and can be further refined with different filters, like department, status, and date, to accumulate the desired information. Call us at 484-892-5713 or Contact Us today to learn more about SharePoint. That's what i have been looking for, but i really need to read more about about it. Do you have more posts on it?